Sold by Wansview and Fulfilled by Amazon. Gift-wrap available. 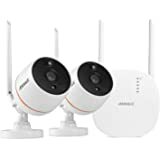 Amazon's Choice for "momentum camera"
RELIABLE 2.4G WiFi CAMERA :Using “Add Camera Via Wi-Fi mode” via Wansview App on your mobile phone and follow instructions step by step, no complicated setting needed of this wireless surveillance camera.Important tips before connection:IP/Network-2.4GHz Wireless(Incompatible with 5GHz). If your router supports both band, make sure your mobile phone is connected with the 2.4G wifi. 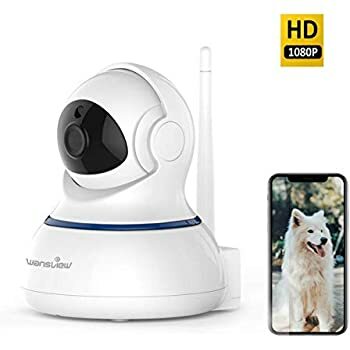 Excellent compatible and customer service: Supports remote viewing via iOS/Android mobile devices, Windows PC, Apple Mac system; Compatible with some third party app/software: Tinycam Monitor/IP Cam Viewer/Blue Iris/ Sighthound/iSpy etc.ANY PROBLEMS, PLEASE SEND EMAIL TO service@wansview.com or CALL +1 323 686 3288 on 6 PM ~ 3 AM (PST) Monday-Friday. Free return & exchange service within 60 days and free technical assistance. Our friendly service will put your worries aside. Sold by Wansview and ships from Amazon Fulfillment. 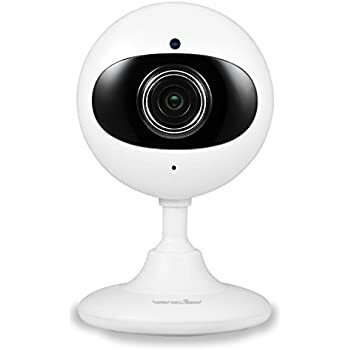 This is a delicate wifi camera for monitor your baby, elder, pet, nanny and employees. With a 720P high definition video, H264 image compression and 1/4”CMOS sensor. Instant living stream can be seen using your phone, tablet or computer from anywhere and anytime. Are you wondering how is your baby’s sleep quality ? 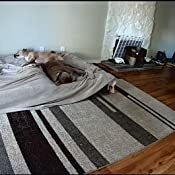 Are you worried your dog is bored at home ? What are your old parents doing at home? 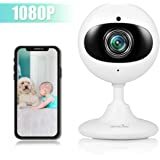 With this camera, you may listen and talk to your kids, older, dogs etc directly through your phone to your camera anytime and anywhere. Be together with your families no matter how far you go. You will never miss the moment with them. 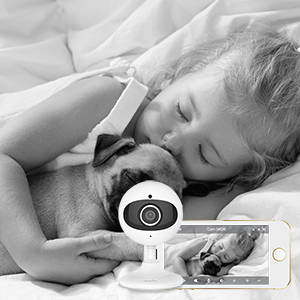 Wansview ip camera：Care what you care--you may use it to monitor your baby, pet, nanny, elder and home. 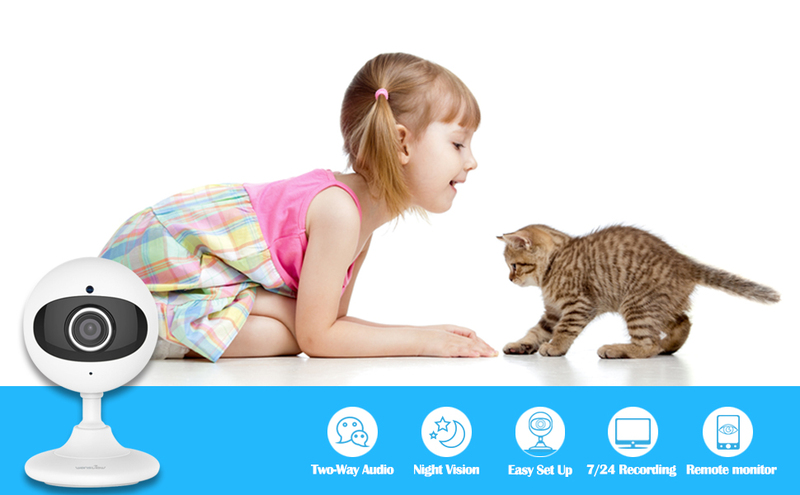 With Various Fantastic functions to help you monitor your baby , pet , old parents or nanny conveniently ! Vivid 720p HD: You can see crystal clear images with this high resolution camera. Listen to your home: With the audio, you can hear what is happening at your home. 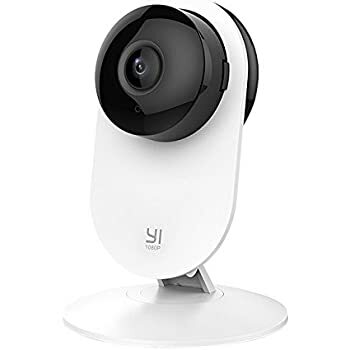 Wider view angle: 120 degree wide-angle camera with 4x digital zoom, keep eyes on the bigger space. 1) 2.4G WiFi, If it is dual band, it is better to hide the 5G WiFi first, after setup, turn the 5G on. 2) WiFi SSID and password cannot contain special characters ' and &. 3) Add camera: Run the Wansview App, tap ”+” and select “Add Cameras Via WiFi Mode” to set up it step by step. The camera is NOT battery camera, it must connect the power supply to outlet ALL the time. 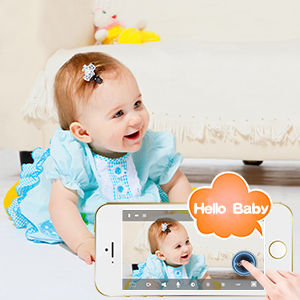 Excellent two way audio quality,you can speak to your baby and listen what your baby saying via wansview App. When you get tired at work, open the mobile App to watch your baby is doing or your baby's smile which will let you forget all trouble. 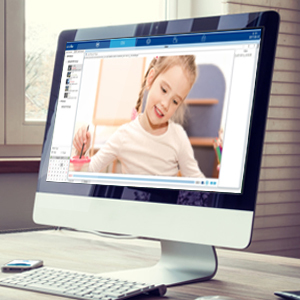 Take quick snapshots and record video to share the important moment to your friends. 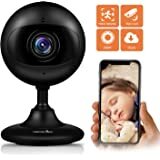 This HD 720P camera can monitor your home even in dark,allowing parents to check on baby at night from Wansview app on phone & making sure the baby is sleeping soundly. 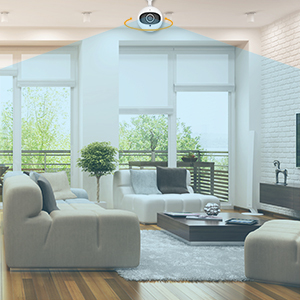 Wide-angle video This WiFi camera gives you 120 degree lens which covers more space with fewer cameras, so you'll be able to see a bigger view and keep an eye on your home all the time . 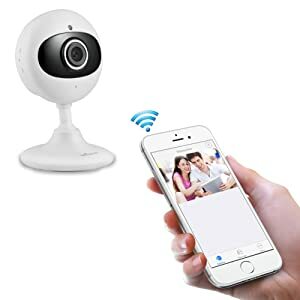 Once camera is connected with WiFi, you can monitor it on Wansview app or Wansview PC software remotely as well as setting up 24/7 records on PC. 1 year warranty. Any problems,please contact us or our customer service email on packing case and quick start guide.You can also view our web:www.wansview.com for FAQ and download files. 4.0 out of 5 starsThe quality far exceeds the price! I have plenty of surveillance cameras throughout my house as well as different IP camera’s so my knowledge in this area is above average in my opinion. 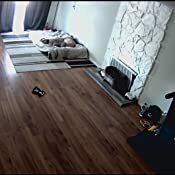 I previously had a d-link ip camera for my dog room to monitor my dogs while I’m at work. And it has recently gotten the red status light of death. So the search began for a 720p ip camera. I wanted 720p since it’s a good compromise between quality and data/bandwidth since I am constantly streaming in and from my house. I found Wansview and quickly noticed the quality of images customers were posting in their review. And for the price (sub $35), it might be too good to be true! I had a budget of $150 for one camera but since the price for each were so low, I ended up ordering two of them so I can have different angles. Why not right? The camera’s arrived promptly and to my surprise, the packaging was a lot smaller than I expected. 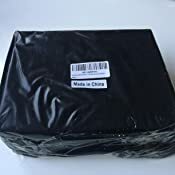 Once I opened the package, each of the camera’s were individually wrapped in black plastic. Most likely to keep the electronics from getting wet or exposure to moisture. - Confirm your wifi connection is on a 2.4ghz band. And not 5ghz. - Download the Wansview app for your mobile device and allow it access to use the camera. - You have minutes to set up the camera as soon as you power it on. Follow the instructions in the quick start guide using the default login and password. 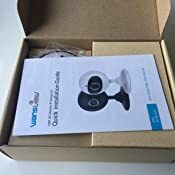 The guide will only get you as far as connecting the ip camera to your network and your mobile device. Once you have access to your camera, go into the camera settings and change the login and password. You’ll need to do this for every camera. - Quality of the video on live view. 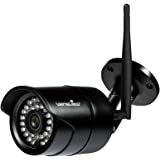 - Ability to view a single camera or multiple at once. - Price is way below the competition. - Size of the camera. - Power cord looks to be 10ft long. - Ability to set up multiple users with specific rights. - Ability to record locally to a powered storage device on the network. - Quick start guide is literally that. There should be a manual for all features within the app and camera settings. - For those not technically savvy, set up may be a challenge. - Desktop view requires a 3rd party plugin/exe. All in all, for the price, I think these camera are of excellent quality and great value compared to others. I just may add additional camera’s in the future. Rating it 4 stars since the manual needs improvement. 5.0 out of 5 starsGreat Camera. Great Price! 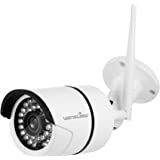 It may be worth mentioning that I have been in the IT industry for over 10 years working on enterprise environments with large server and security infrastructures.With that said, I’ve owned and operated a variety of IP based cameras. Most recently I decided to pick up a few of the Wansview K2 after reading over the reviews and considering the price. I have to say, I’m happy that I did. The K2 is a fully featured camera at a very reasonable price point. If you are looking for an inexpensive yet well rounded camera for indoor use, this is definitely my camera of choice. Only requiring a power cord, you can place it practically anywhere and have it up in running in minutes, as the setup is pretty painless. I could write about the features all day long but in the end it’s best to see them. I have included screenshots of the App, packaging and camera views for you to see for yourself. I hope this was helpful. My only con is that it requires an Active-X control / Plugin and Internet Explorer to view in a web browser. I would have hoped that HTML5 would have offered some alternative methods for displaying video but who knows. Minor setback though. 5.0 out of 5 starsTaking a chance paid off! I was honestly a little skeptical at first because of how cheap the camera was. I figured I'd just buy it and if it was junk, I'd just return it. We have not returned the camera because it's fantastic! The app for the camera could be slightly more functional, but it performs great. The quality of the video and sound is good and you can actually adjust the quality of the video. 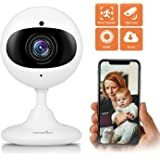 Would definitely recommend this to anyone looking for a baby monitor or even a security camera. Also just to add a tip for those who purchase, if you're using it as a baby monitor, make sure to plugin before you bring your baby into the nursery to lay down. Upon start up it makes a piercingly loud beep that could wake your baby. 5.0 out of 5 starsCombine this with a cheap radio frequency handheld, and you're GOLDEN! Don't waste your money on all those expensive monitors. First off, even the most popular brands are extremely unreliable- read the reviews. Second, this may come as a surprise but you won't be using your monitors as much as you think, and it won't justify the extremely high price of those other monitors. So save some dough and get this monitor instead. This monitor is fantastic. It is wi-fi only, not on radio frequency (so it doesn't come with a handheld)- you need a smartphone or tablet, and you need wifi in your house. 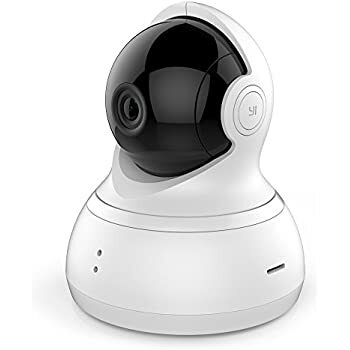 So you can view it while you're in the house, but you can look at your kid while you're at work or away, or if you're in the backyard- AND you and your partner can use BOTH your phones and check on the kid anytime you want (no one person is stuck with the only handheld device). The picture quality is great. 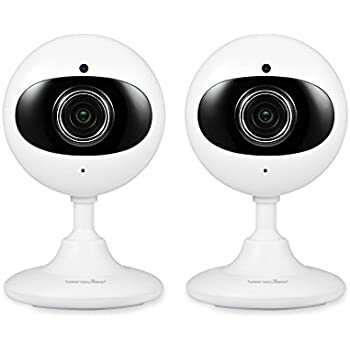 without giving them permanent access to your wifi camera network; you don't want other people peeking in your nursery); so I got the Wansview, but also bought this: Video Baby Monitor with Digital Camera, ANMEATE Digital 2.4Ghz Wireless Video Monitor with Temperature Monitor, 960ft Transmission Range, 2-Way Talk, Night Vision, High Capacity Battery. Again this is super cheap and does the job. 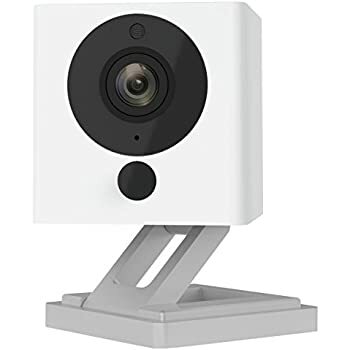 Combine these two products, and you have a wi-fi remote access camera, and also a handheld device (normally the combo cameras would cost $350- ouch- this is much better).